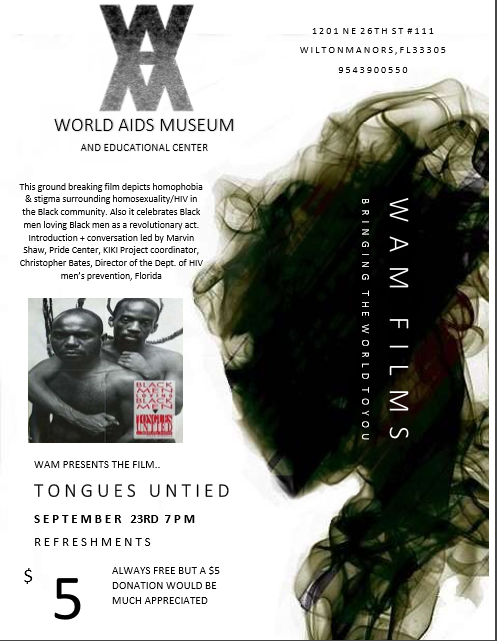 The World AIDS Museum and Educational Center, under the guidance of Fred Phillips and Dale Thome, is initiating a monthly film series beginning in August. Each offering has been carefully selected to portray the many dimensions of the HIV/AIDS story. All are fascinating , enlightening, and entertaining, Please join us at the museum for a film, refreshments, and thought-provoking conversation.